SOFIA, Bulgaria (BulgarianMilitary.com) – The Atlantic Council of Bulgaria has issued an opinion stating our country should purchase the U.S. F-16 as a new type of fighter for the Bulgarian Air Force, and adding that the government should adhere to the common practice in NATO member states – to acquire the average number of 16 aircraft per squadron, not as planned in two times of 8, learned BulgarianMilitary.com. Once again the Atlantic Council of Bulgaria voiced their position against the conclusion of an initial contract for 8-9 fighters and not for 14 or 16 aircraft, as is the practice in NATO member states, considering the fact that the purchase of the average number per squadron leads to a lower price and fast acquisition process. The government plans to buy at least 8 fighters for BGN 1.8 billion (with VAT), and at a later stage – another 8, however, it is not clear when exactly the second purchase will be made or will it ever happen. Even the Bulgarian Defence Ministry admits that this is unlikely to happen in the near or medium-term future. According to the non-governmental organization, it is also necessary to be adopted an accelerated schedule for the decommissioning of the MiG-29s and the Su-25s and their further market realization, with the proceeds of this sale to be used for the new fighters to enter service faster, as well as to be acquired new radars and modern anti-aircraft missile systems. The organization supporting Euro-Atlantic orientation of Bulgaria also stated its position on what fighters should be acquired, pointing out the F-16 Block 70/72 as the best choice for our country. 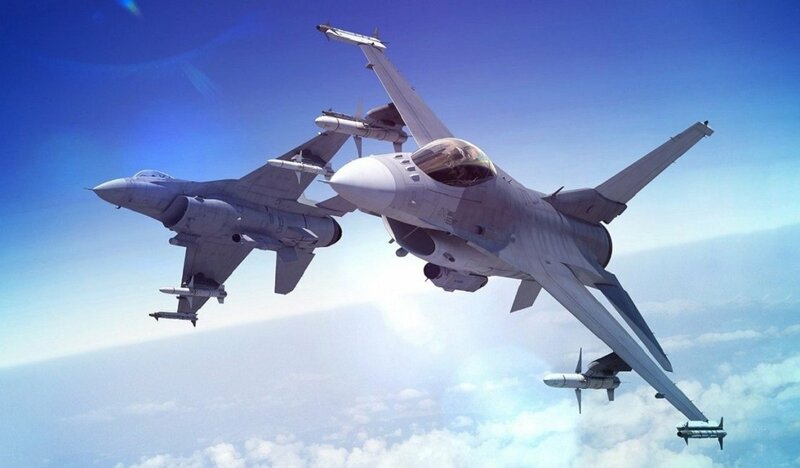 Its choice is motivated by the fact that the the F-16 is the common-use aircraft for NATO and EU nations and there is already a complete network of airport, service and repair infrastructure, which ensures and subsequent upgrading at a lower price. “Compared to the other proposals, the F-16 has proven its full potential in performing aerial operations,” said the Atlantic Council. Another proposal made by the organization is to be extended the possibilities for joint security activities in Bulgarian airspace under NATO Integrated Air Defense System in the period before the purchase and the crew of the new fighter to achieve the required operational readiness.